Chocolate cocoa pod. 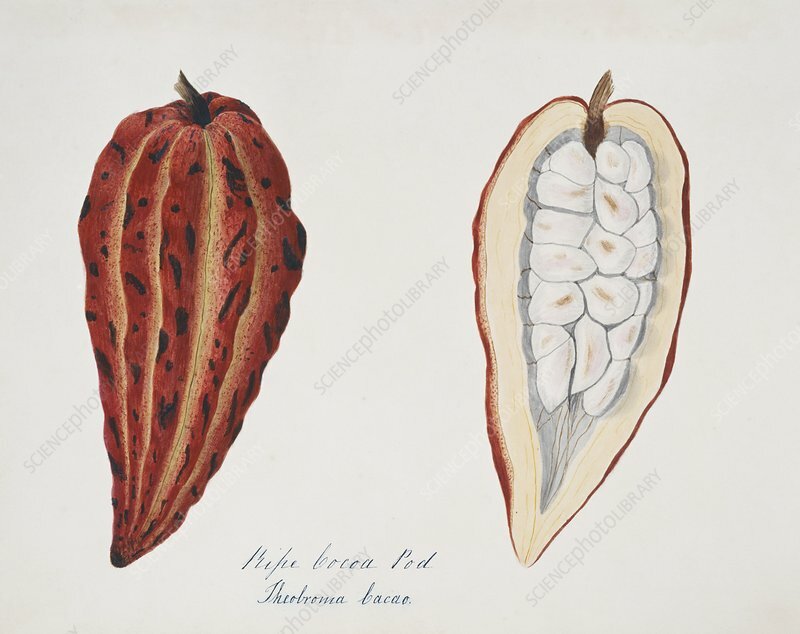 This pod is from the cocoa tree (Theobroma cacao) and is used to make chocolate. This watercolour is plate 49 from one of a set of three volumes by the Indian-born British artist and amateur ornithologist Margaret Bushby Lascelles Cockburn (1829-1928). These volumes, dating from 1858, consist of artworks of the people, flora and fauna of 19th-century India, particularly in and around the Nilgiri Hills (then known as the Neilgherry Hills) in the state of Tamil Nadu, in southern India.